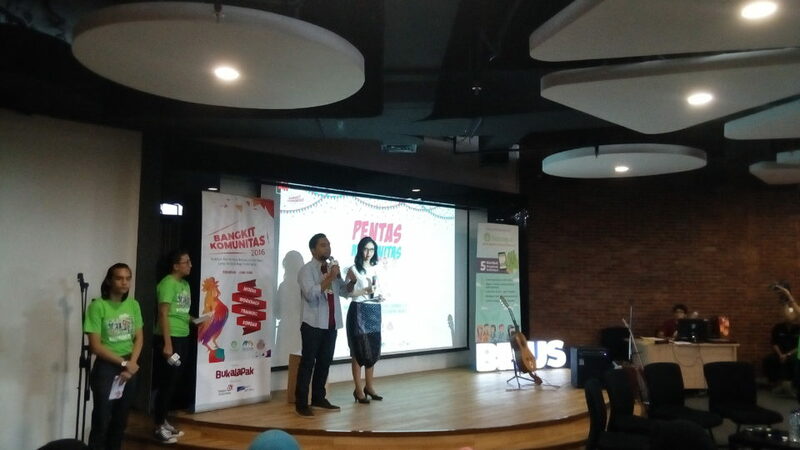 FX Campus – Sebangsa, Indonesian social media platform; Komunita.ID, Indonesian social media for communities; and National Community Day organized “Pentas Komunitas” at Binus International Campus on 6th floor of FX Mall, Saturday (5/28). 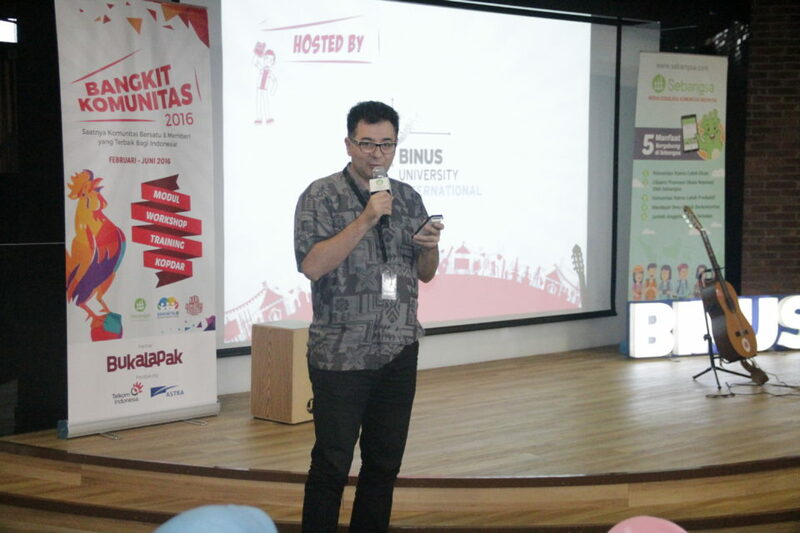 This is a part of the series of events of Bangkit Komunitas 2016 movement, which was initiated by Sebangsa. 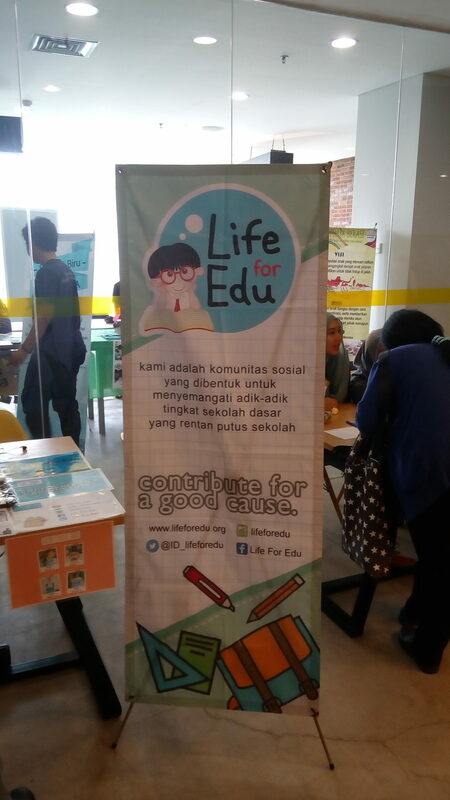 The event was opened by Indira B. Widjonarko, the Founder & Chairwoman of Sebangsa and Komunita.ID. Indira also shared how Komunita.ID has grown as social media for communities. “One of the reasons Komunitas.ID was created is to support communities’ members and volunteers that have worked relentlessly to help others. Hopefully, Komunitas.ID can be used as communication platform by communities to virally spread important information, such as request for blood transfusion or donation for children with cancer. This way, we can give hope and help for many people,” said Indira. Indira also mentioned that in 2016, Sebangsa focuses on improving the site as social media for Indonesian communities. Meanwhile, the Founder and CEO of Sebangsa, Enda Nasution, shared about the progress of communities module development. “Not long ago, we did a workshop with several members of Kamar Penasihat Komunitas and now the module for communities has been finished. In the future, everyone who wants to join communities doesn’t have to be confused anymore because they can use the module as guide,” said Enda. One of the events of Pentas Komunitas was a talkshow entitled “The Power of Social Movement” with several representatives from communities, such as Vande Leonardo (Founder of Komunitas Sobat Budaya), Fajar Surya (Founder of Komunitas untuk Papua), and Yeni Mulyaningsih (Founder of Komunitas Taufan). During “Aksi 7 Menit”, several communities performed on stage, which are Komunitas Music Box Jakarta, Rumah Pijar, Youth for Climate Change, Komunitas Taufan, Life for Edu, Fakta Bahasa Bekasi, Sobat Budaya, KOPPAJA Bekasi, Bekasi Simfoni Orkestra, Popcorn Cinema Club, Stand Up UIN, Kampung Dongeng Jakarta Pusat. 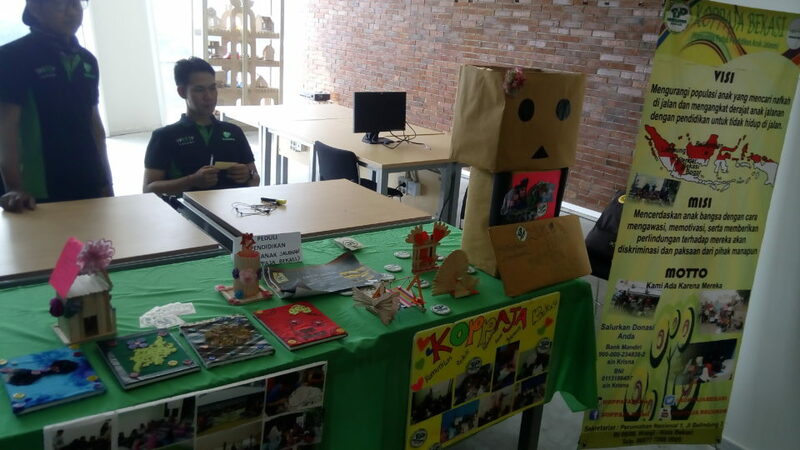 Another highlight of the event was the communities exhibition, which was participated by Komunitas Pemberdaya Muda, Simfoni Biru, Edan Sepur, Internet Sahabat Anak, ASEAN Youth Organization Indonesia, and Komunitas Bukalapak.